Yep. It's finally here. Well, almost.. 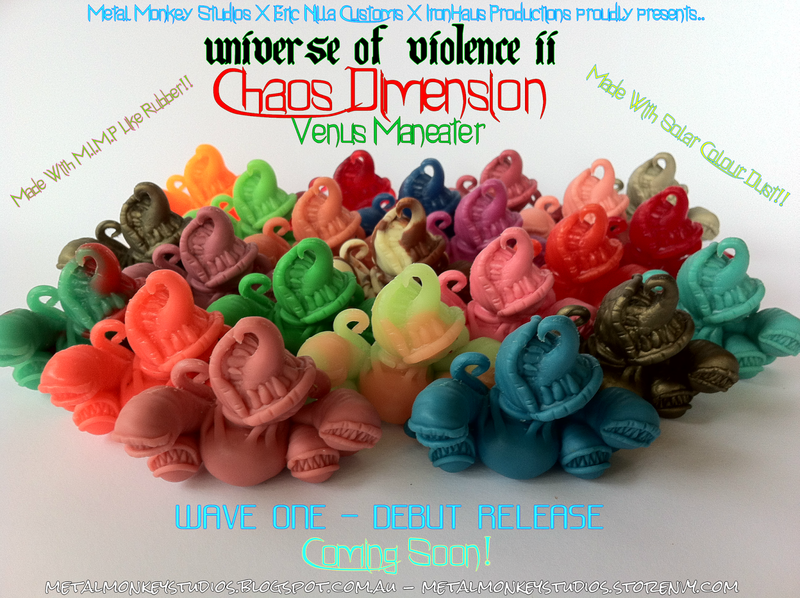 I'm only days away from adding UOVII : Chaos Dimension Wave One figures, Satyrant & Venus Maneater, to my store. I'll be making an official announcement in the next 24 hours regarding more specific release details so keep an eye on my blog, the UOVII thread over at LittleRubberGuys forum, & on my Facebook page for the release update very soon! Here are the pics of the figures that will be on offer in the Wave One Debut release, minus a few that will be made available elsewhere shortly. More news on that as it happens. Venus Maneater - 2" tall. 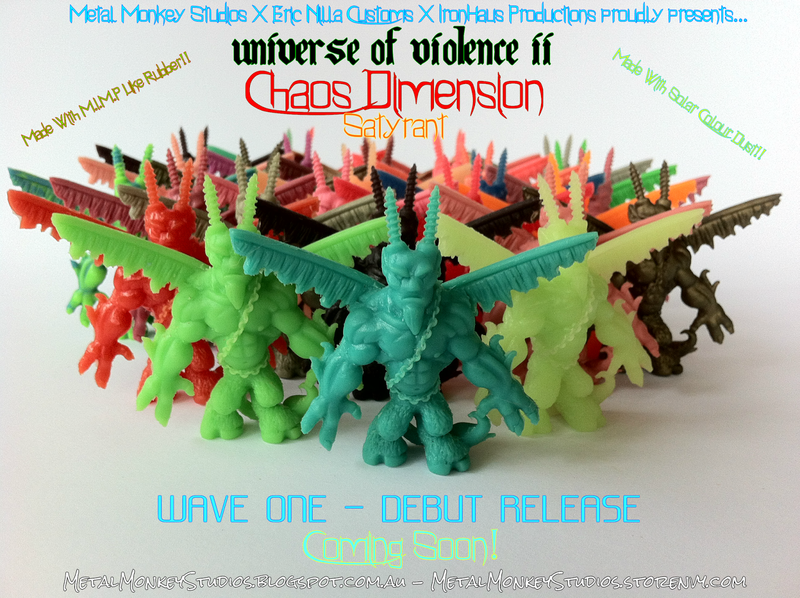 Here is an example of how the UOVII:CD figures will be packaged for the Wave One Debut Release. 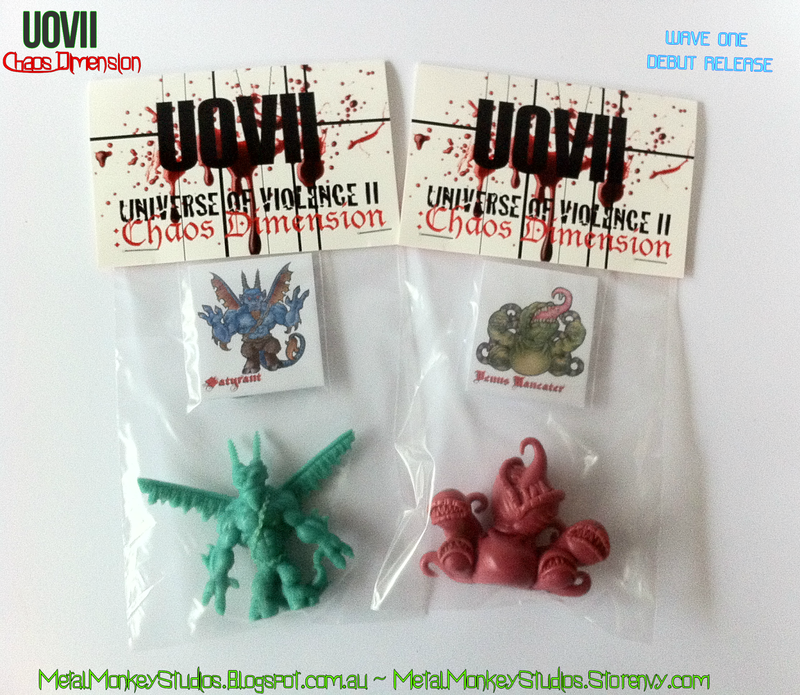 The figures themselves will come bagged with a custom header, mini art card & button badge and will be available for $12 AUD a piece. There will be a limit of 2 per character, per order (a total of 4 figures per person) to try and make sure there's enough to go around for all.